A while back I posted about a Christian Rapper named Canvas that I though had real talent and had pure Gospel in his lyrics. I had the privilege of working with him for the past few weeks filming a video for the title track S.E.E.D.S. It was a lot of fun, not just shooting the video, but also sitting around talking about Jesus with him. 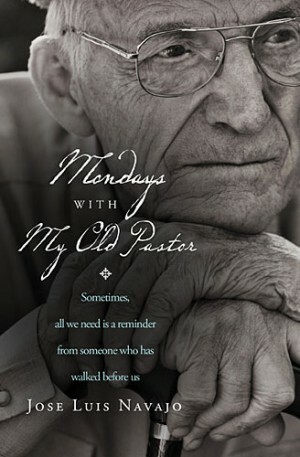 When I picked up Mondays With My Old Pastor, I was afraid it might be just another sentimental reflective book. But the preface—and the entire book—captured me with its’ stunning allegory, parables, and tangible storytelling. The book starts with a discouraged young pastor whose wife suggests he visit his “old pastor”—a term of endearment for the man who trained him as a young man. What follows is a tightly-knit story about passing the mantle, filled with refreshingly new stories and parables to illustrate the point. This book has intentional structure, where each chapter is a visit, and is represented by a new rose that grows in the old pastor’s garden. With each rose is a chance to pray and reflect after the visit—for the reader as well as for the leading character. In this way, the structure and literary devices prepare the reader for worshipful moments and meditation. José Luis Navajo is no stranger to good storytelling, and it certainly offers ample illustrations that could be used for sermons or teaching. The story moves at a good pace, and I always felt that the “meetings” ended too quickly, wanting to hear more instead of feeling lectured. I highly recommend this book, without reservations. I already have a list of people who would like to read it after me. It is both interesting and encouraging. I hope you will have the pleasure of reading it as well. I received this book from the publisher for review. All opinions are my own. C.S. Lewis is arguably the greatest Christian author of the 20th century. The Chronicles of Narnia are revered alongside Tolkien’s Lord of the Rings as one the greatest fantasy series ever written, but even more pronounced in the church are his Christian works like Mere Christianity, On Pain, The Screw Tape Letters, etc. However, and this is a lesson the mass of Christian writers publishing today should take note of, C.S. Lewis’s writing ability was not just natural talent. It was honed through years of studying the great writers of yesteryear and his contemporaries. He was a literary professor after all. For that matter, His Christianity didn’t exist in a bubble either. He read the church fathers, writings of the Catholic Saints, the scholastics, the reformers, the transcendentalists, and even the Pre-Raphaelites of the Victorian period. The idea that we are somehow separate from the history of the church is a pernicious falsehood that stems from postmodernism’s crazy idea that there is no over-arching story in the world, that every generation sits in its own little bubble. And while C.S. Lewis lived in the era of modernism, there were elements of postmodernism starting to surface in his time, some of which he championed and some of which he mocked, particularly the ideas of Marx and Freud, saying that they were “sawing off the branch that they were sitting on,” but that’s a whole different discussion, and I ought not follow that rabbit trail less this review become an academic paper, but I do think including some of the authors Lewis severely disagrees with in the book would have helped build the picture of his spiritual journey. Overall, From the Library of C.S. Lewis, does an excellent job drawing a loose sketch of the authors that Lewis favored in his lifetime by including several excerpts from the most influential ones. The book arranges the excerpts by topic like “God’s Love”, “Our Love for Christ”, “Christ’s Sacrifice” etc, which makes the excerpts a lot more approachable than just randomly throwing them together. If you’re interested not only in what influenced C.S. Lewis, but in the history of the church, and those who have followed Christ through the years, this is a good place to start, but be forewarned, if you do pick this book up, you may find yourself buying a few more books from the authors whose excerpts have been included. Taming the Wind is part three of a trilogy Land of the Lone Star by Tracie Peterson. It follows in the general pattern of Peterson’s fiction, a good romance and adventure. The story is set in the Texas frontier, post Civil War. Peterson’s descriptions clearly show the dangers and difficulties these pioneers faced. At the end of the war the federal government sent soldiers south. Their task was to make it clear the federal government was in charge. People who fought for the Confederacy had their property confiscated. Criminals were attracted to the frontier and lawlessness was a part of life. The conflict between the settlers and the Native Americans accelerated. Peterson describes a myriad of difficulties pioneer families faced. This is the story of the romance of Tyler Atherton and Carissa Lowe, living in the northern region of Texas. Their lives intertwine with other ranch families, friends and relatives. The young couple is an integral part of the dangers that were part of life during this era. At times it seems as though it will be impossible for them to develop their relationship. The difficulties they face make for an exciting story. While Taming the Wind is a predictable story, Peterson takes time to develop the characters and their interactions. She describes the vast Texas landscape, showing both its beauty and the rawness of the lonely, open land. She takes time to portray the hurt and anger of the different sides in the conflicts. Northerners and Southerners were both hurt deeply because of the war. Settlers suffered from Indian cruelty; and Native Americans lost their land and were rounded up by soldiers and forced onto reservations. It is a time of constant conflict and Peterson shows how this continually impacts the lives of the people living during this period. Through all the disappointments and trials she follows the spiritual development of the two protagonists, showing how God leads His people and how faith continues to grow even in dangerous, difficult times. 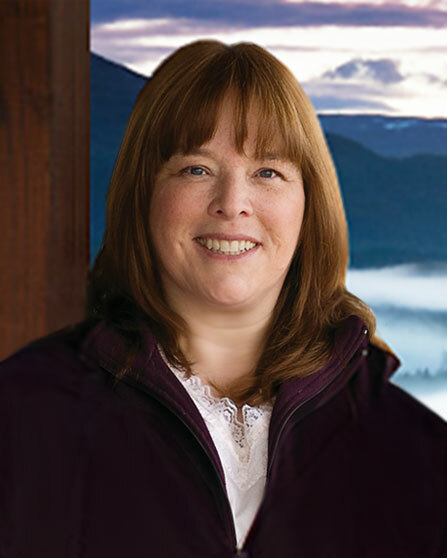 Tracie Peterson pens a good story and Taming the Wind fulfills this expectation. I received this book from the publisher in return for a review. All opinions are my own. Hurry, the giveaway ends on 9/25/12. Just click one of the icons below to enter. The winner will be announced at Tracie's "Taming the Wind" Author Chat Party on 9/26! Connect with Tracie, get a sneak peek of her next book, try your hand at a trivia contest, and chat with readers just like yourself. There will also be gift certificates, books and a Book Club Prize Pack to be won (10 copies for your book club or small group)!